4k00:17Aerial view of Patapat viaduct in the coast of Pagudpud, Ilocos Norte. Highway with bridge by coast sea near the mountains. Philippines, Luzon. 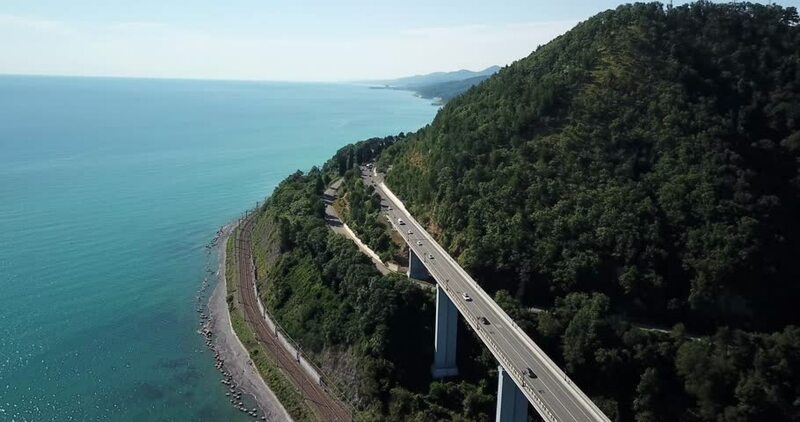 4k00:134K aerial stock footage of car driving along the winding mountain pass road through the forest in Sochi, Russia. People traveling, road trip on curvy road through beautiful countryside scenery. 4k00:18Woman jogging outdoors. Norwegian fjord.